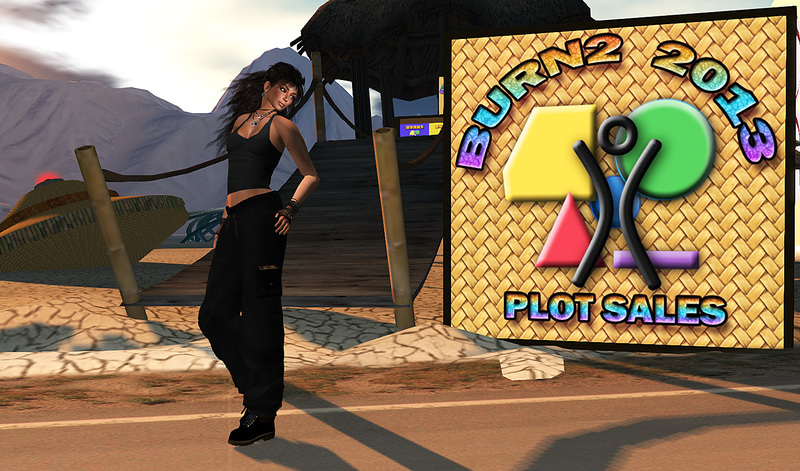 Last year was my first real experience at Second Life’s “Burning Man” (BURN2) event. I spent a lot of time hanging around and got to feeling like I was becoming a “Burner”. This year I decided to take the next step and bought a plot to build something that contributes to the “Cargo Cult” theme. I have a 2048sqm plot and a loose idea of what I’m gonna build. Building starts tomorrow, September 21st and I’ll be writing about this year’s events on iRez magazine (if Vanessa still remembers me… heh). That’s me posing at the entrance to the plot sales office. This entry was posted in Journal and tagged Events, Second Life. Bookmark the permalink. Hi Zee… I hope you drop by. I’m not quite sure what my build is gonna look like, but I hope to make it interesting. See you in October when it opens. Good luck with the build Yordie, looking forward to what you come up with.